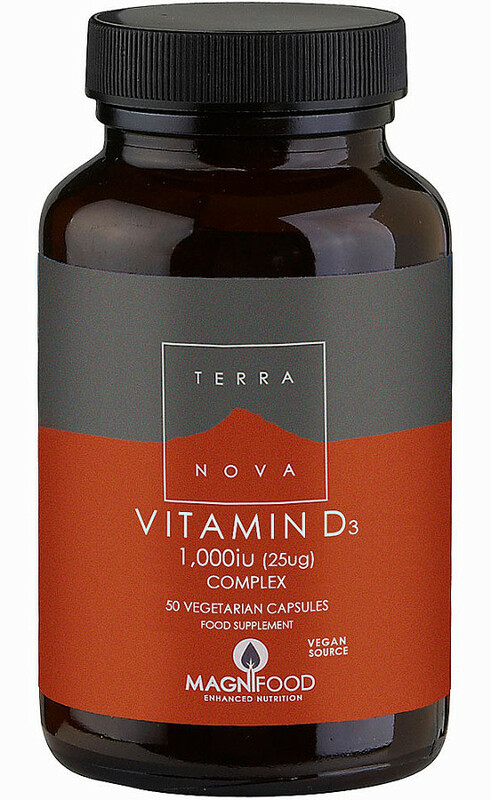 Additive free and vegan, these Vitamin D3 1,000iu Complex capsules are boosted by highly active superfoods and botanicals including Stabilised Rice Bran 200mg; Coriander Leaf (fresh freeze dried) 50mg; Pumpkin Seed 50mg; Shiitake Mushroom (fresh freeze dried) 50mg; Spirulina (Spirulina platensis) 50mg; Vitamin D3 (vegan cholecalciferol) 25ug / 1,000iu. The supplement has many benefits and is also free from any fillers, binders or other excipients. As a food supplement for adults, take 1 or 2 capsules daily with food. Do not exceed stated dose unless directed by a healthcare practitioner. Stabilised Rice Bran 200mg; Coriander Leaf (fresh freeze dried) 50mg; Pumpkin Seed 50mg; Shiitake Mushroom (fresh freeze dried) 50mg; Spirulina (Spirulina platensis) 50mg; Vitamin D3 (vegan cholecalciferol) 25ug / 1,000iu. 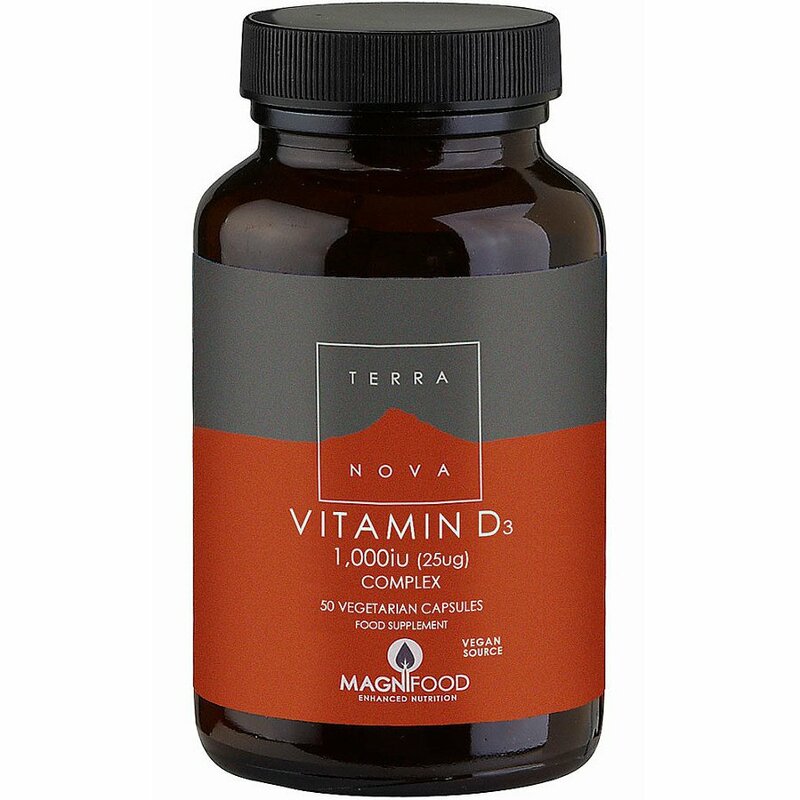 There are currently no questions to display about Terranova Vegan Vitamin D3 1000iu Complex Supplement - 50 Capsules. The Terranova philosophy is based on profound wellbeing, deep healing and complete nourishment. Their formulations use only pure and natural ingredients that have been scientifically proven to offer advantages to health and wellbeing. Terranova don’t use pharmaceutically adulterated plants and laboratory-isolated natural chemicals. Instead, they use superfood ingredients and fresh botanicals in the purest form possible. Terranova products are also free from binders, fillers and other excipients. Terranova supplements are designed to be holistic and synergistic – unlocking the potential of nature’s best compounds in perfectly balanced combinations.